We walked into this thrift shop, and immediately got greeted into the store by this young woman. She was very welcoming and made us feel happy and excited to start shopping. 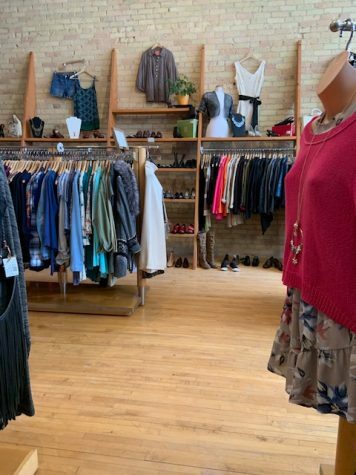 Right away our eyes gravitated towards the prom dresses, accessories that were placed neatly everywhere, and clothes organized on racks near the front of the building. Rush had plenty of choices with fun colors that drew your attention to each product. Immediately, we completely fell in love with this place, and are planning to go again soon! When we walked into the store, this was the view. 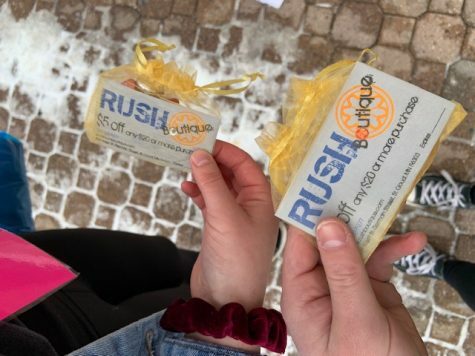 The owner of Rush was kind enough to share little goodie bags with the LeSabre journalists. 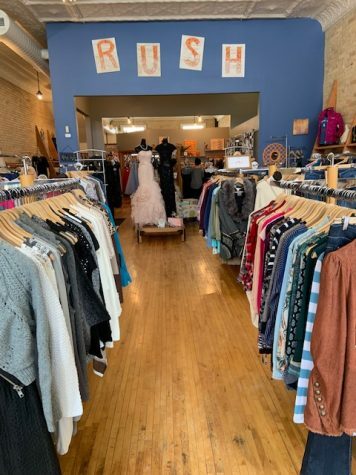 Owner, Terri Trondson of Rush Boutique, “ I come in early and stay late to keep everything organized and so that it is ready for the next morning.” The owner puts a lot of time and effort into this store, and you can tell that she really tries hard to keep everything going well and that her customers have a good experience and want to come back. The decorations and accessories really brought this place together.